Wales will go for their record 12th Test win in a row against England at the Principality Stadium in two weeks, while Italy will host Ireland. Wales secure their 11th Test win on the bounce courtesy of their triumph over Italy this evening, equalling their all-time record. It was not a classic performance from Warren Gatland's men, although it was enough to get the job done in Rome. Tries from Josh Adams and Owen Watkin in the second half took the game away from the home side, who had battled well in the contest. Italy scored two tries of their own through Braam Steyn and Edoardo Padovani, but the visitors were resilient to see out the victory. The disallowed try is the final act of the Guinness Six Nations clash this evening. TMO! Young is down for a score, finishing off a neat move for the visitors. However, the TMO takes a look and disallows the try for a forward pass by Anscombe in the build-up. Wales go for the kill in the late stages of the game as Lewis breaks over the gain line. The prop has support around him as Wales look for their third try. There's space for another Italy attack down the right flank, but Padovani kicks the ball downfield rather than enjoying another surging run. Wales are able to gather and clear their lines. MISS! Allan fails to add the extras for the home side, firing his effort wide of the posts. TRY! 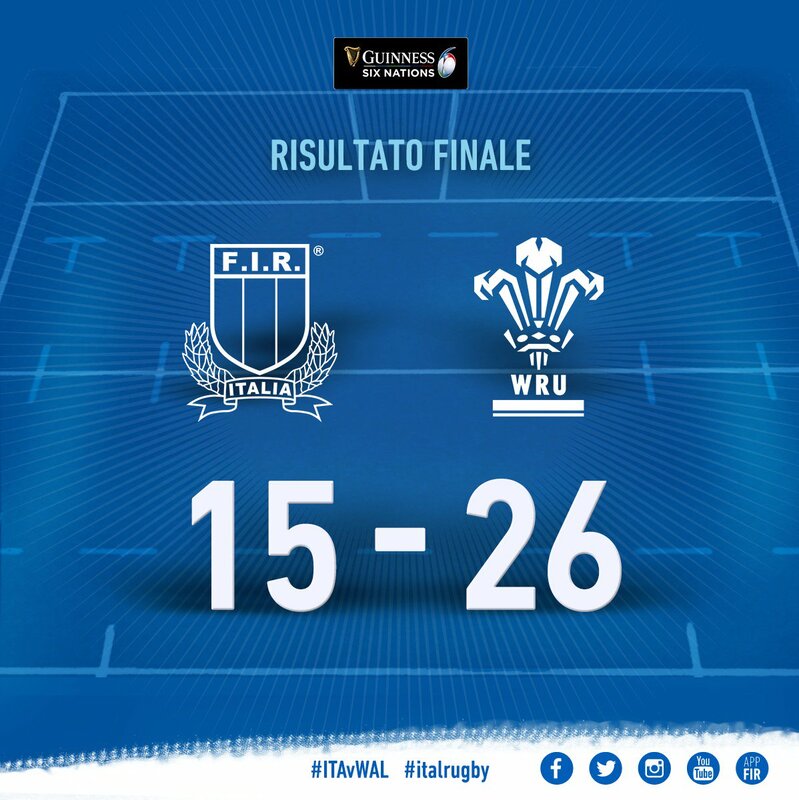 ITALY 15-26 WALES. Italy are in for the second time of the game as space opens up. Allan pulls the strings with a couple of neat offloads before finding Padovani in space on the right flank, touching down in the corner with a diving finish. Wales earn the turnover by surrounding the breakdown with bodies. However, a knock-on gives the Italians hope inside the 22. Italy are not willing to bow out without a fight and put the Wales defence under pressure with a surging run from Steyn. CONVERSION! ITALY 10-26 WALES. Anscombe has a simple kick for the conversion and does not disappoint. TRY! ITALY 10-24 WALES. The visitors all but secure the win now as Watkin touches down after a clever piece of work by Anscombe. Wales work the ball from right to left after a successful lineout and maul. Anscombe collects and spots the space in behind. He chips the ball over the blue line and allows Watkin to score under the posts. Much better from the Wales forwards at the scrum. They overwhelm the home side with their power and earn the penalty. Adams leads the charge back at the blue line, but he gets held up and a knock-on gives Italy a scrum and a better opportunity to clear the ball. Italy have a clean scrum and Gori is on hand to make the clearing kick for his side, although it does not boast a great deal of distance. Italy still have a scrum to deal with in the shadow of their own tryline. They have to be on their mettle to ensure they're able to get away with this one safely. NO TRY! A grubber kick has Hayward in all sorts of trouble at the back for the home side. He fails to gather the loose ball on the slide and Jonathan Davies tries to collect. It appears as though he has gathered it cleanly and rolled over for the score. However, the TMO rules that he knocked on before rolling over for the try. The game is meandering at the moment. Neither side is displaying a great deal of rhythm with the ball in hand. Parisse puts Anscombe under pressure from a high kick and makes the challenge. However, the Welshman takes the challenge and the ruck holds firm to allow the visitors to clear their lines. Gori is on at scrum-half for the home side. Italy need a spark of inspiration from somewhere. A loose lineout from Dee is not gathered by Wales and Traore manages to dive on it. The home side are able to their clear their lines again. Traore gives away a penalty at the breakdown for not rolling away. Wales will for another try with a kick into touch. Anscombe replaces Biggar for the visitors, while Traore and Ruzza are on for the home side. CONVERSION! ITALY 10-19 WALES. Biggar sends his kick through the posts for the extra two points. It is his final act of the game. TRY! ITALY 10-17 WALES. The visitors notch their try with a well-worked move across the field. Adams collects a simple offload from Williams as he gets tackled. The winger is left with a run for the line and he touches down under the posts. Biggar connects with another poor kick, sending his effort straight out on the full. The visitors have been disappointing since the restart. Wales win a penalty, but Biggar fails to find touch with his kick downfield. The pressure is on the visitors here. Wyn Jones and Lewis are on the field for the home side to replace Ball and Lee. Wales work the ball from left to right, but Holmes runs out of space on the flank. Italy swarm around the ball in numbers before McKinley boots the ball downfield. McKinley replaces Allan for the home side. The home side steal another lineout, although Wales battle back through Wainwright at the breakdown. It's a scrappy affair in Rome. Italy are dogged at the back and get a hand in the lineout. The bounce favours Palazzani and he boots the ball into touch. Italy's turn to lose their discipline, which allows Biggar to kick deep into touch right on the five-metre line. PENALTY! ITALY 10-12 WALES. Allan sends his kick through the posts with ease and now the home side are within striking distance. Another mistake by Wales at the breakdown hands the home side an opportunity with a penalty. This one is right in the middle of the field under the posts. Allan will go for the kick. Ball fails to roll away at the breakdown and the home side win a penalty that allows them to kick deep into touch. We're back underway in this Guinness Six Nations clash. The visitors have lacked rhythm in their play. They have had a couple of chances in the Italy half, but have settled for the three points rather than sustain their pressure. Jonathan Davies could have released Holmes on the right flank, but the pass took too long to reach the winger. It has been the story of the half for Gatland's men. Wales hold a 12-7 lead over Italy in Rome at the break, although Warren Gatland will be frustrated with his side's performance. The visitors have scored four penalties through the boot of Dan Biggar, but have been unable to get over the tryline. Italy responded before the break to score from Braam Steyn, displaying the clinical edge that the Dragons have lacked inside the 22. Tommaso Allan could have brought the hosts within two points, but he missed his penalty. That could be crucial come the end of the game. MISS! Allan sends his effort towards the posts, but his strike cannons into the left upright and bounces out. Wales gather before Biggar boots the ball out to end the half. Poor play from the Wales' forwards in the lineout results in another Italy penalty for pulling the maul to the ground. Allan will go for the posts again. From the resulting scrum Italy get the penalty. 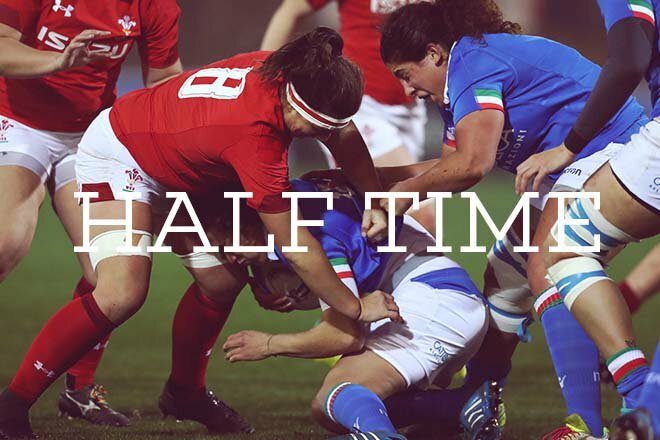 It's a good opportunity for the home side to send the ball deep in Wales territory. There's work here to be done by Wales. They're not having the game their own way due to the pressure from the hosts. Beard becomes one of the latest players in red to make a mistake, knocking on from a lineout. CONVERSION! ITALY 7-12 WALES. The home side are well and truly in the game now. Allan lines up the kick from just right of midfield and slots his strike through the posts. TRY! ITALY 5-12 WALES. The home side score the first try of the game as Steyn crashes over the line. Italy sustain the pressure from the lineout and they build five phases with their forwards. Steyn with support from his props dives for the line to record the score. Ghiraldini throws the ball into the line and the blue shirts are able to gather and pound away at the line. Italy are able to apply pressure at the breakdown and after winning a penalty for a Welsh hand in the ruck, they go for the sideline rather than the posts. PENALTY! 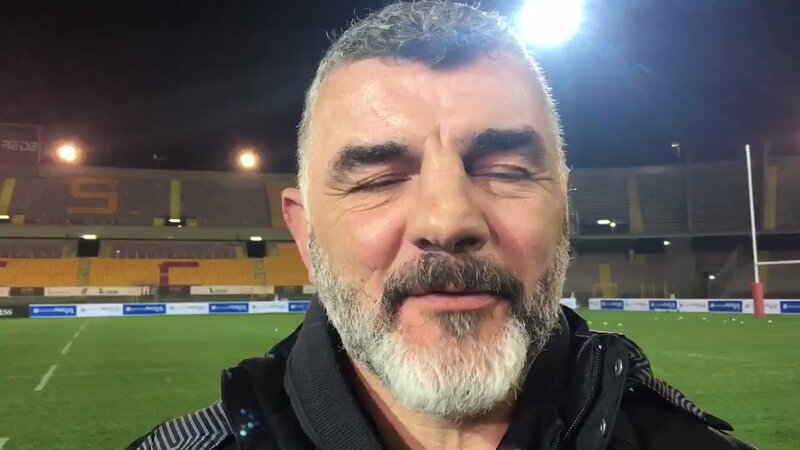 ITALY 0-12 WALES. It's another short kick for Biggar and he dispatches his effort through the posts. Wales cannot break through for the try, but an offside penalty hands Biggar another shot at the posts. Wales are piling on the pressure five metres from the line. The blue shirts are piling men into the breakdown to slow down possession for the visitors. 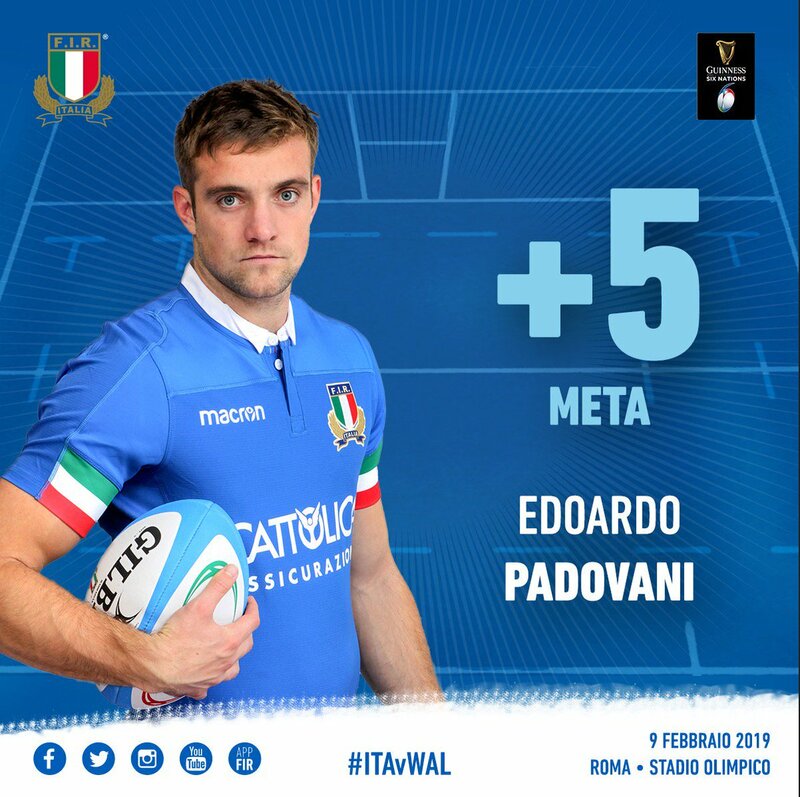 Biggar collects an up and under ahead of Padovani and moves his team into position in the Italy 22. Wales spread the ball from midfield to the right flank, but the pass from Jonathan Davies to Holmes takes too long to get there to open up space for a clear run for the line. Wales wait for the mistake from the home side and are able to get the scrum. Fine defending from the red shirts behind the ball. Biggar sends a kick out wide looking for Adams, but Padovani gets there ahead of the winger and makes the grab. 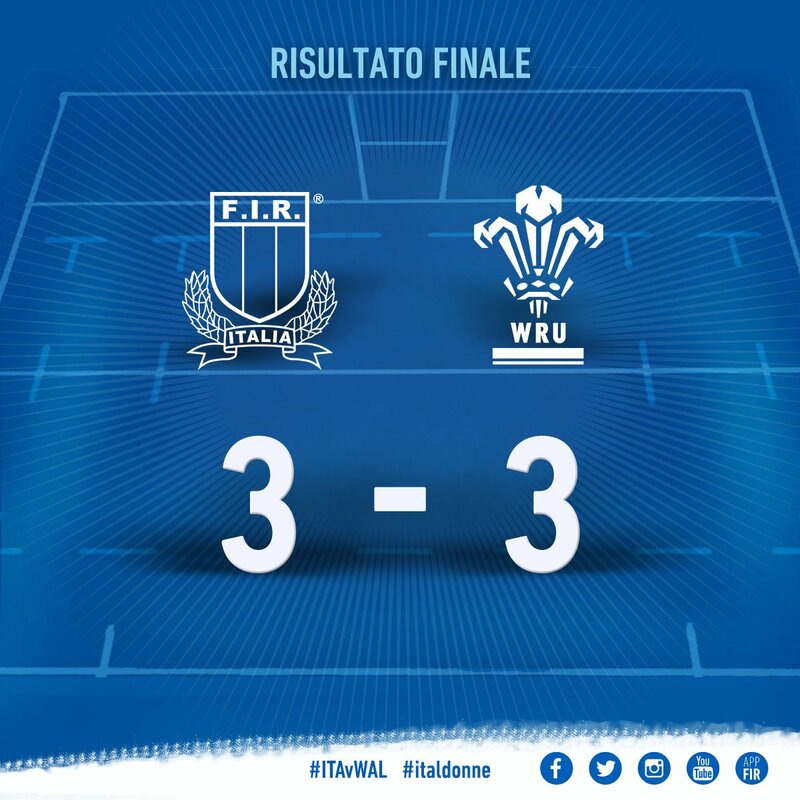 Italy recycle possession, but cannot make further inroads in the Wales 22. Dee is caught off his feet at the breakdown and gives away a penalty. Italy kick into touch to gain their first piece of meaningful territory. PENALTY! ITALY 0-9 WALES. Biggar sends his effort through the posts from 35 metres. 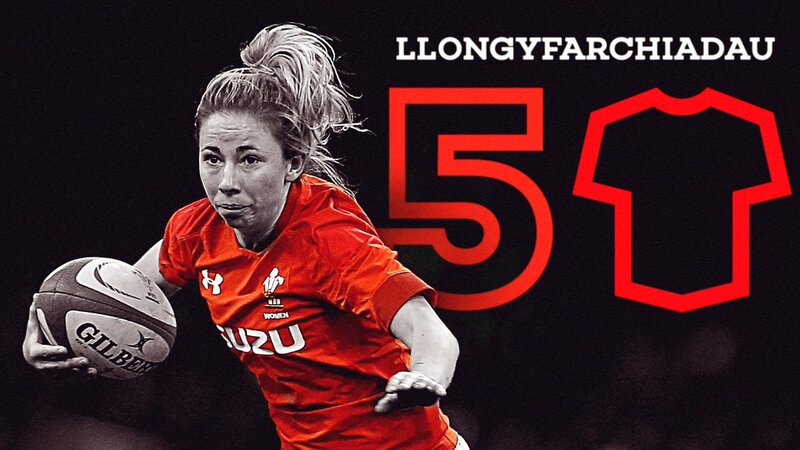 An impressive effort from the fly-half to extend Wales' lead. Wales get a turnover from a lineout following a poor pass from Palazzani. The red shirts flood into the Italy half and are able to force another penalty as the home team are caught offside. Biggar will for the posts again. PENALTY! ITALY 0-6 WALES. Biggar takes the kick from practically under the posts and he slots his effort through. Wales get the put-in at the scrum after putting the home side under a spell of pressure. The Italy forwards are guilty of driving early and give away the penalty. Wales move the ball in a threatening position, but Beard knocks on after taking contact and Italy get the scrum inside their own 22. It has been a scrappy affair in the early stages. The Dragons have not been able to impose themselves in the contest. Italy are trying to slow the pace of the game to prevent the visitors from building a rhythm to their play. They've done well enough so far. Esposito breaks into space down the left flank, but the red shirts are able to flood back to regain possession. 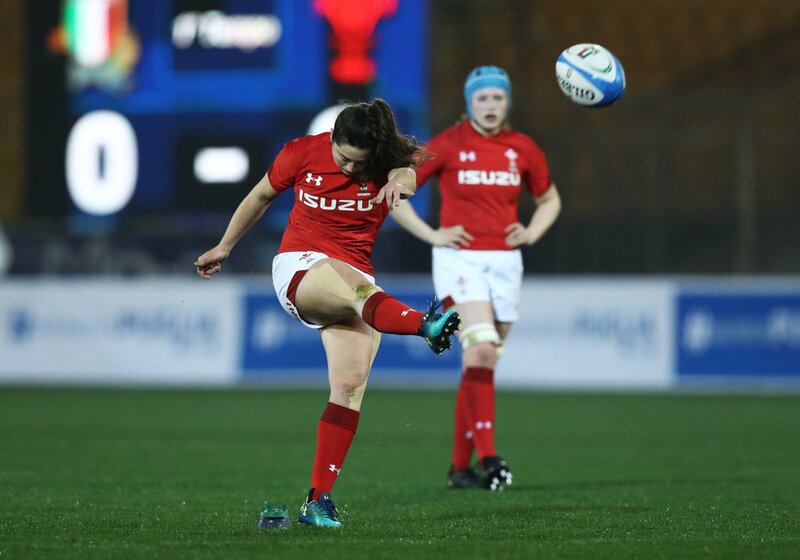 A knock-on wastes a promising build-up from Wales and the home side are able to scramble the ball outside of their 22. Wales move the ball downfield with ease through the line of blue. Wainwright takes on a tackler and drive his man back to get over the gain line. PENALTY! ITALY 0-3 WALES. Biggar slots his effort through the posts from close range with relative ease. Wales have a penalty within seconds of kick-off. Biggar will have an opportunity to go for the posts as the hosts are penalised at the breakdown. Biggar gets this Guinness Six Nations clash underway. Wales have won their last 11 meetings with Italy in the Six Nations, scoring an average of 36 points per game. Only Davies, Liam Williams, Adams, Beard and Navidi retain their places from Wales' win over France. Holmes, Young, Wainwright and Davies make their first starts in the Guinness Six Nations. Smith, Dee, Lee, Ball, Biggar, Adams and Watkin also come into the fold. Italy have made two changes from their defeat to Scotland last time out. Try scorer Padovani comes into the team from the off, replacing Tommaso Castello. Quaglio also comes into the side as Andrea Lovotti misses out. WALES: Liam Williams, Jonah Holmes, Jonathan Davies, Owen Watkin, Josh Adams, Dan Biggar, Aled Davies, Nicky Smith, Elliot Dee, Samson Lee Jake Ball, Adam Beard, Aaron Wainwright, Thomas Young, Josh Navidi. Replacements: Luca Bigi, Cherif Traore, Tiziano Pasquali, Federico Ruzza, Marco Barbini, Edoardo Gori, Ian McKinley, Tommaso Benvenuti. ITALY: Jayden Hayward, Edoardo Padovani, Michele Campagnaro, Luca Morisi, Angelo Esposito, Tommaso Allan, Guglielmo Palazzani, Nicola Quaglio, Leonardo Ghiraldini, Simone Ferrari, Dave Sisi, Dean Budd, Sebastian Negri, Braam Steyn, Sergio Parisse. Wales produced a brilliant comeback to defeat France in Paris in their opener. The Dragons were down 16 points at the interval, but responded with a flawless performance in the second half. Two tries from George North and a score from Tomos Williams allowed Warren Gatland's men to clinch a 24-19 win on the road. They will be eyeing a complete display in Rome this afternoon. Italy will be looking to channel their performance of the final 10 minutes against Scotland against the Dragons this afternoon. 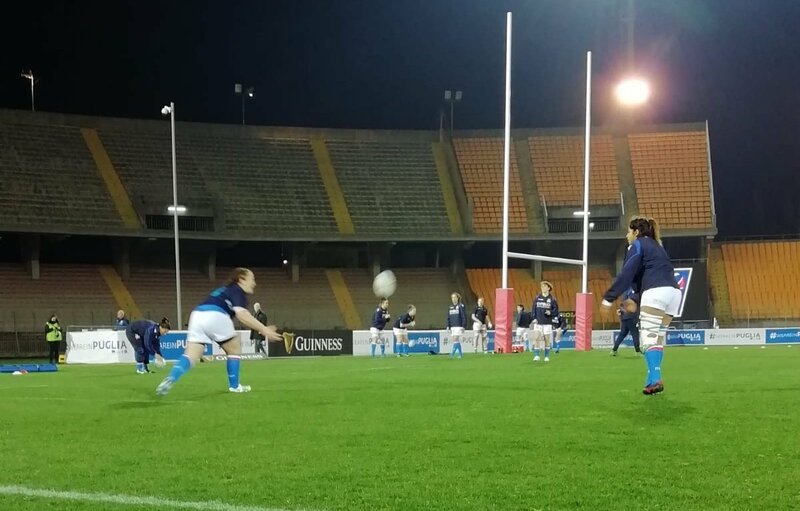 The Azzurri were on the receiving end of a hammering in the opening 70 minutes of the contest, but three tries from Guglielmo Palazzani, Edoardo Padovani and Angelo Esposito made the scoreline more respectable. Conor O'Shea will be hopefuil of a stronger performance from his team today. Good afternoon and welcome to the live commentary of the Guinness Six Nations clash between Italy and Wales at the Stadio Olimpico. 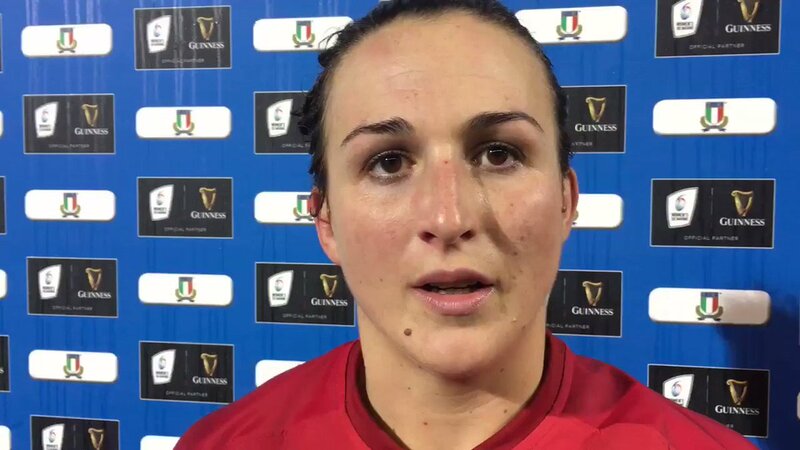 SGÔR TERFYNOL | #WalesWomen hold out to secure a 3-3 draw in Lecce despite a last-minute Italian penalty. RT @bbcrugbyunion: It's game on in Lecce. 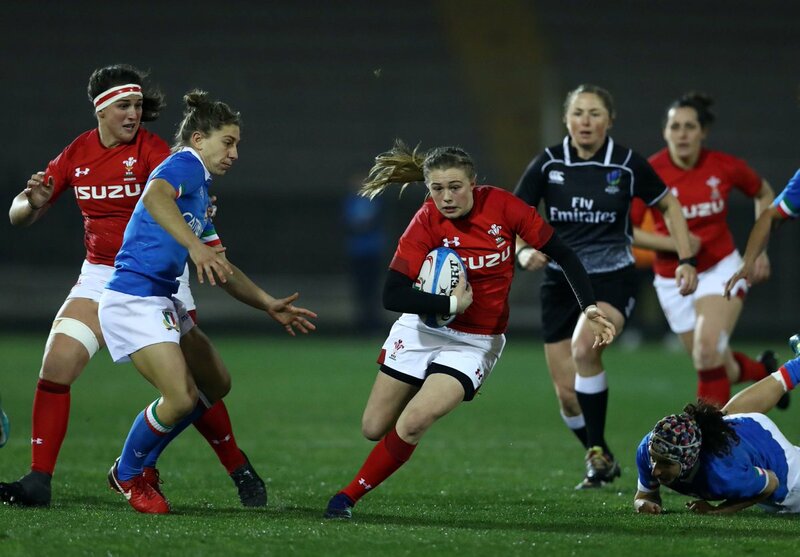 🏴󠁧󠁢󠁷󠁬󠁳󠁿 We’re under way here in Lecce in for #WalesWomen v @Federugby. 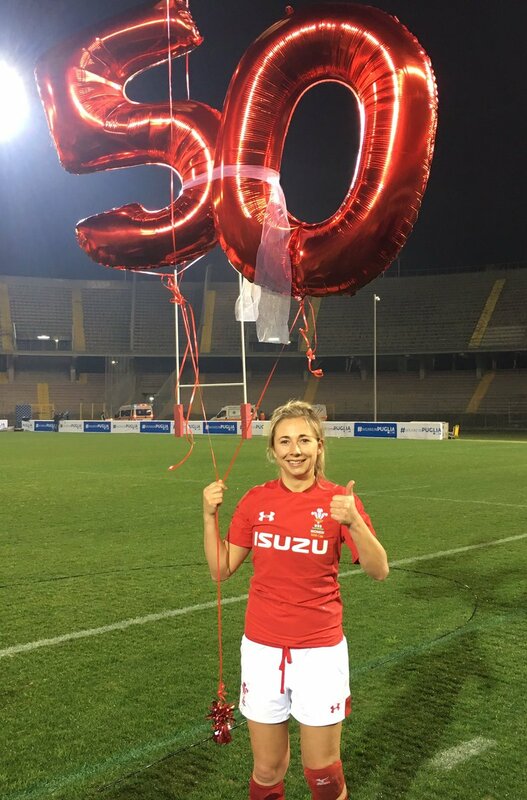 📺Don't forget you can watch #WalesWomen live against Italy on the below link.